Research in economics is increasingly open to empirical results. The advances in behavioural approaches are expanded here by applying cognitive methods to financial questions. 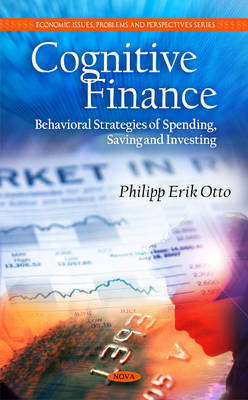 The field of "cognitive finance" is approached by the exploration of decision strategies in the financial settings of spending, saving, and investing. Individual strategies in these different domains are searched for and elaborated to derive explanations for observed irregularities in financial decision making. Strong context-dependency and adaptive learning form the basis for this cognition-based approach to finance. Experiments, ratings, and real world data analysis are carried out in specific financial settings, combining different research methods to improve the understanding of natural financial behaviour.